A well-designed and expertly built roof is one of the most essential aspects of protecting your home and keeping your family safe from the elements. Although some roofing problems can be solved with quick fixes, sometimes reroofing is necessary, even crucial. This article will explore what reroofing means, the stages of reroofing, the difference between a roof overlay and a tear-off, how to tell if your roof needs replacing, how long you can expect your roof to last, and the cost of replacing your roof in Australia. What is reroofing? 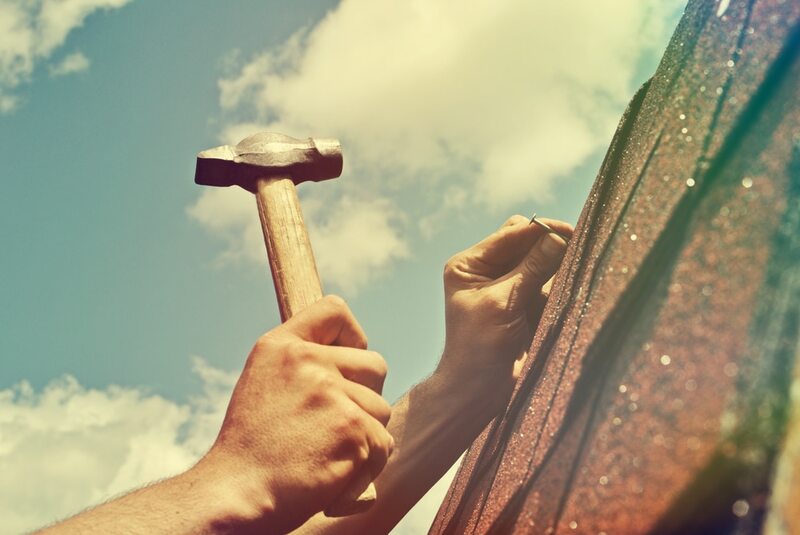 Put simply, reroofing is updating or replacing a building’s current roof. There are two main methods of reroofing: roof overlay vs tear off. The overlay reroofing method involves keeping your existing roof and adding a layer of shingles on top. On the positive side, this style of re-roofing is less expensive and take less time to complete. However, this is not a long-term fix and this style of reroofing can make it more difficult to track leaks inside your roof. Please note that you can only choose this reroofing option if your roof has not had a previous overlay installed. The tear-off method of roof replacement involves your roofing company tearing off your existing roof to replace it with an entirely new roof. This style of reroofing will completely fix any damaged decking or leaks present in your roof, will last much longer than an overlay, and add value to your home’s resale value. However, this method is often more expensive. What Are The Stages of Reroofing? 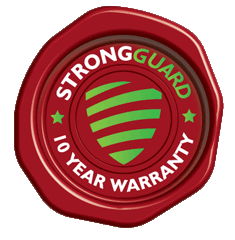 As a professional roofing company that is committed to excellent service, Strongguard will perform the following tasks to ensure your home’s reroofing proceeds smoothly. Initial preparation: We will examine and measure your old roof and guttering, and thoroughly inspect your roof. This will allow us to provide you with a valid cost estimate and recommend a choice of roofing options and features to suit your home. Here, you have the opportunity to communicate to let us know exactly what you want from your new roof. Pre-installation preparation: Here at Strongguard, we start our re-roofing process with a coordinated and efficient set up of our technical roofing equipment. Next, we will organise safety precautions. Finally, we will methodically clear and clean the roof and area encircling your roof to create an ideal work environment. Installing the overlay, or performing the roof replacement: Finally, we will perform the re roofing with our strict quality control to ensure the best result. Post re-roofing inspection: We will inspect your roof when we have finished, to ensure that your roof will remain safe for years to come. Cracked shingles: Your shingles have cracked. Algae or moss: Airborne algae and moss can create dark streaks on roof decks. Your roof is old: As your roof materials approach the end of their lifespan, they will start to break down and this can jeopardise the integrity of your roof. How Many Years Do Roofs Last? Slate tile roofs: Nothing beats a slate tile roof for longevity. Hard slate will last between 75 and 200 years, while soft slate will last between 50 and 125 years. Metal roofs: Copper and zinc roofs can last for more than 100 years, while aluminium or steel roofs can last for more than 50 years. Terracotta roofs: Terracotta roofs generally last for up to 50 years. Concrete roofing: Concrete roofs have an average lifespan of 50 years. Asphalt roofs: Asphalt roofs typically last up to 25 years. Wood shingle and shake roofing: If you want your wood shingle roofing to last for more than 20 years, always keep it dry and well-ventilated. Apply treatments against water, insects and UV-rays. You also need to regularly clear the roof of any flammable materials like dried leaves and dead branches. How Much Does It Cost To Replace A Roof in Australia? Costs for reroofing can vary widely. Since every roof is different, there is no standard price. However, the majority of house re roofing projects in Australia will cost between $15,000 to $25,000. Do I Need To Move Out Of My Home While My Roof Is Reroofed? It is unlikely that you will need to totally vacate your building for a new roof installation or reroofing project. Typically, a professional roofing company uses tarps and other barriers to protect your home and landscape from damage. Depending on the size and scale of the roof, the time it takes to finish a roof varies, but reroofing the average house will take one to two days to complete. During this time, you will need to take note when our expert roofers identify areas of danger that you should avoid while the work is taking place, and steer clear of these areas. How Do I Choose a Reliable Roofing Company? A secure roof is essential to the safety of your home. We recommend selecting a roofing company with demonstrated licenses and credentials needed to perform the roofing work. A valid license from the Queensland Building and Construction Commission (QBCC) signifies that the roofing contractor complies with safety standards mandated by Queensland law. Furthermore, it is worthwhile to ask the roofing contractor if they cover their clients with warranties and protect their workers with insurance. If your house’s roof is looking a little worse for wear, it may be time to invest in a roof replacement. For such an important investment in protecting your home and family, it’s important to have your reroofing project done right. Looking for a professional and qualified team to reroof your home in Brisbane? Contact the Brisbane roofing experts today on (07) 3623 4422 for a quote!